DJ Yella Says Ice Cube Beat N.W.A With "No Vaseline"
The interviews and segments popping up in the media over the last few weeks have given fans of N.W.A. and the movie Straight Outta Compton background behind the group’s official biopic. 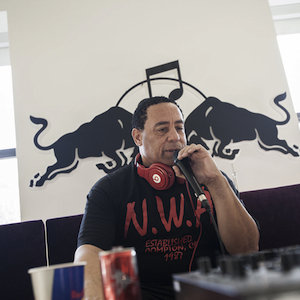 The Compton rap quintet’s DJ, DJ Yella recently sat down with Vlad TV and reminisced about “No Vaseline,” the beef track Ice Cube created after leaving the group. DJ Yella also spoke about his relationships with the members of the group and says his fondness for each changed depending on the time. N.W.A.’s biopic, Straight Outta Compton was released to theaters on August 14 and has already grossed more than $60 million.